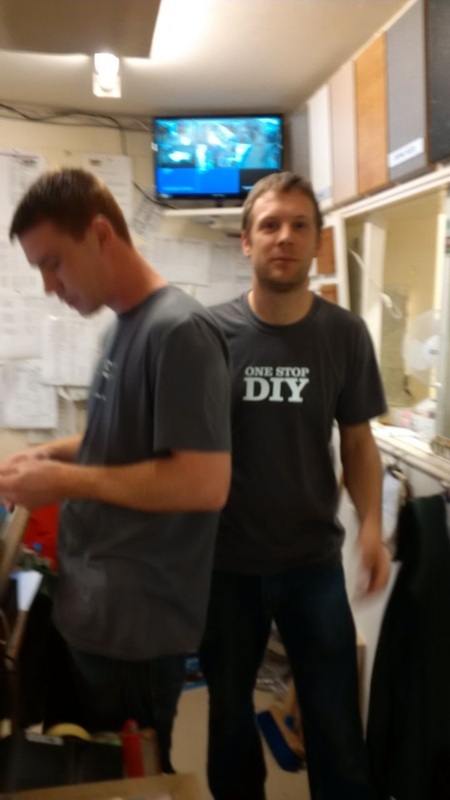 When can a personalised tshirt REALLY make your company stand out for the crowd? When it's printed in reflective material of course. 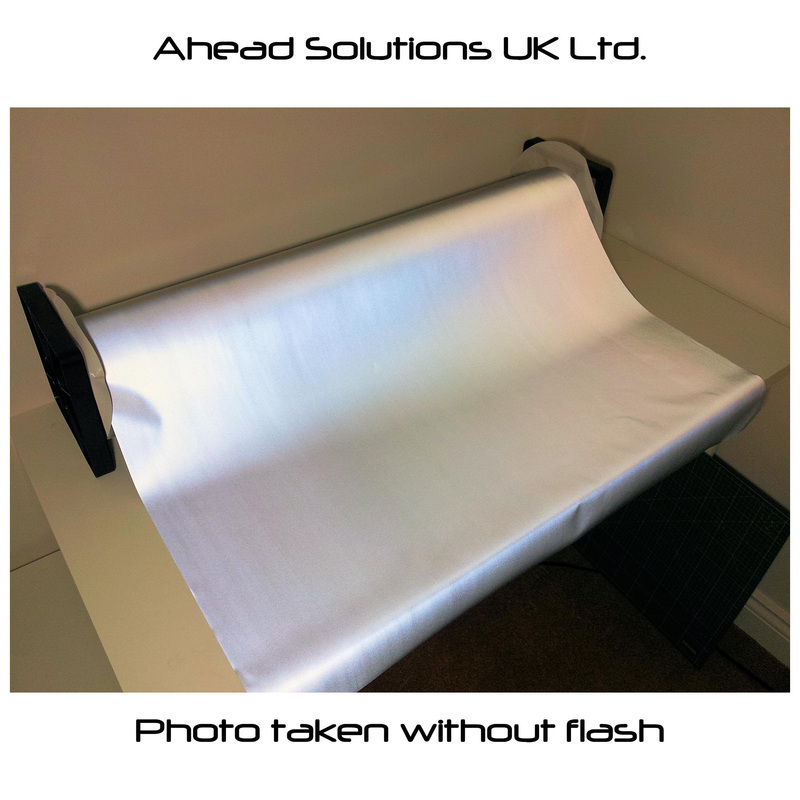 Reflective printing of company logos is rm... just one of the things we do best at Ahead Solutions UK so we weren't phased when approached by the directors of a new London FinTech start-up with a hand drawn company logo. 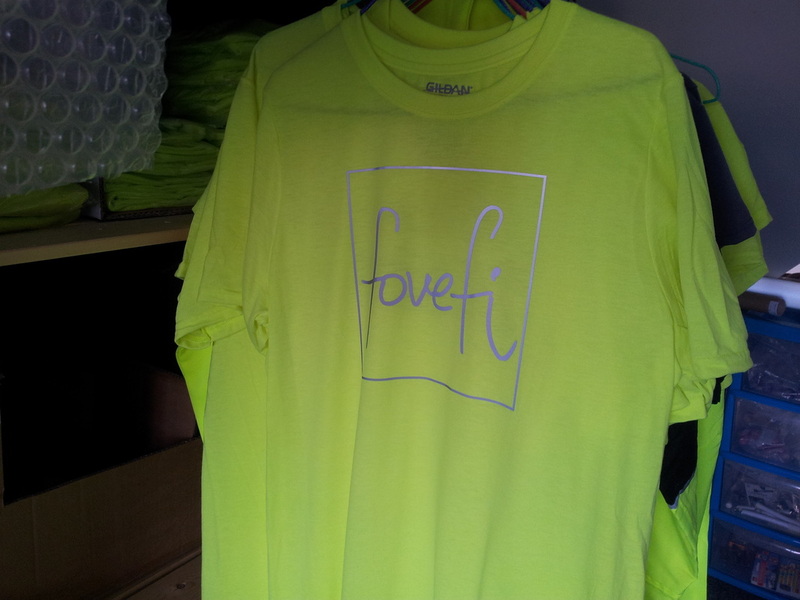 ​The logo was captured by camera from a whiteboard and recreated in reflective materials to garment by Ahead Solutions. it looks stunning as it catches the light and is sure to be a talking point at their up and coming launch event. The reverse of the tshirt has the company's launch-day motif again printed in a tech font in reflective material. The order has been turned around in just 4 days. 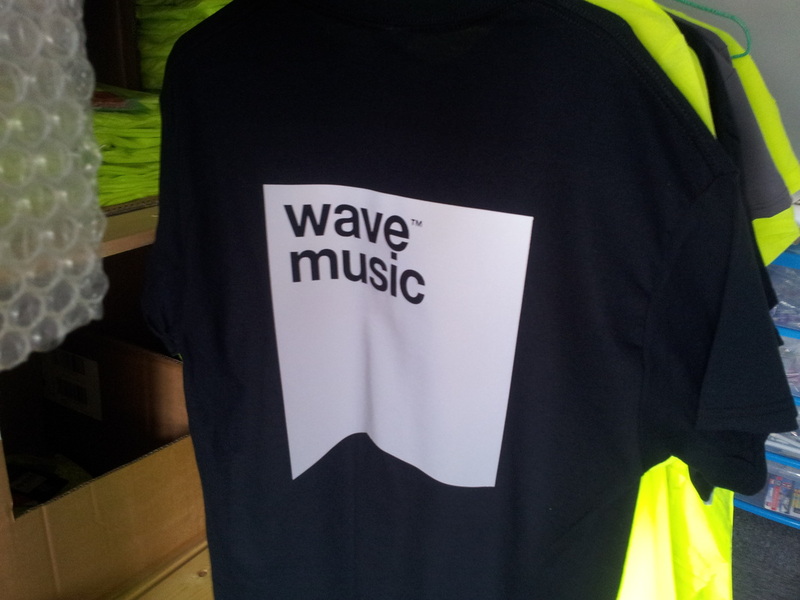 The guys and girls are going to look like a well branded cohesive team. We wish them all the very best at this exciting time for them. If you wear a medical identity wristband read this! NFC is the latest technology to really hit the streets with more applications than you can shake a stick at. NFC embedded medical identity wristbands are one of the most helpful applications of the technology that everyone is raving about. Why? Because an NFC embedded Medical ID Wristband allows you to carry UNLIMITED emergency contact and medical related information; amounts of life-saving information that you simply just would not be able to fit in writing on a standard wristband Identity card. The benefit of this is that you are able to be certain that professionals such as paramedics, emergency services, police and medics have access to 'the full' picture; every last important medical detail of you. Example: Jane has cystic fibrosis and lives an active life as possible. Jane is out and about as much as possible so feels comfortable in wearing her medical identity bracelet. Jane takes over 60 tablets and medications a day and uses various pieces of medical equipment. Jane wears a medical identity bracelet but struggles to write all but the most important medications and contacts on the small identity card that goes inside the bracelet. ... And all they need to do to access Jane's vital identity and life saving information is scan her wristband with an everyday Smartphone. So how does an NFC Medical Identity Wristband Work? 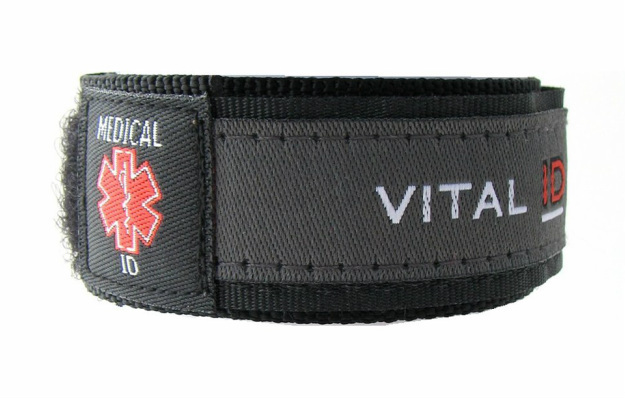 By the time your medical identity wristband arrives it is ready to wear with confidence. You can add brief written details to the identity card if you like. Why not get yours today and have COMPLETE peace of mind. Got a question about our NFC medical ID wristbands? Email us at mail @ you-id . me or call us on 01254 387227 today. If you are in the market to buy relatively small amounts of reflective fabric that you can use for sewing purposes look no further. We supply 3M Scotchlite - still by far the best reflective cloth product to be found anywhere in the world. Fully washable and very adaptive. 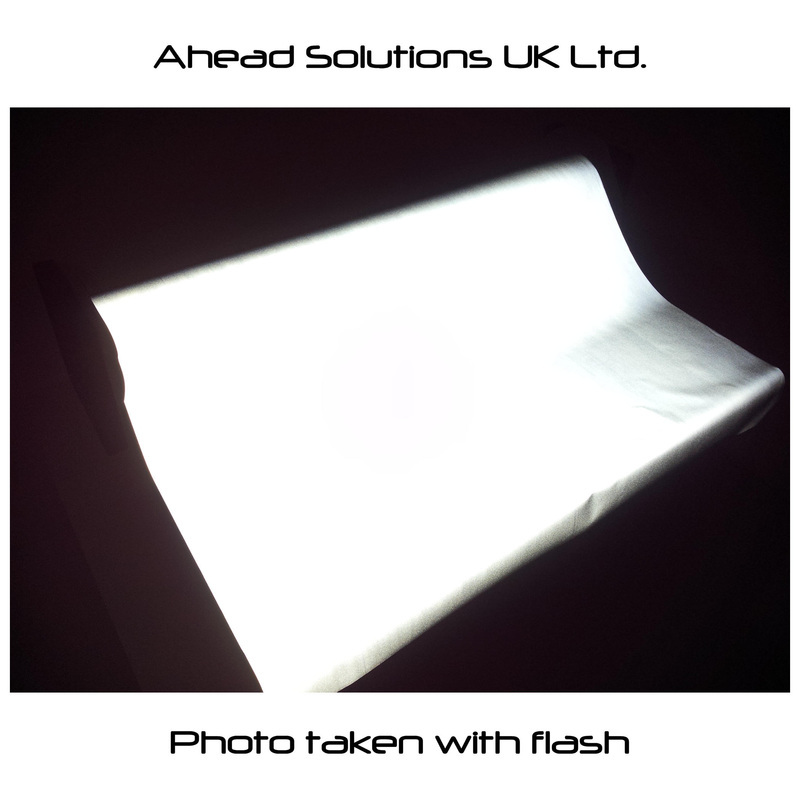 Ahead Solutions can supply you with reflective fabric that can be used for sewing and stitching. We regularly supply to designers, stage costume creators, theatre set production, crafts enthusiasts and many more segments. We are happy to supply anything from one metre of cloth up to full rolls, so whatever your need please do contact us. Just thought would post this as this time of year in the northern hemisphere it the dars are short and the dark nights are here... for a while again anyway. Examples here of two of 12 work t shirts produced with the One Stop DIY logo lovingly recreated in reflective print. 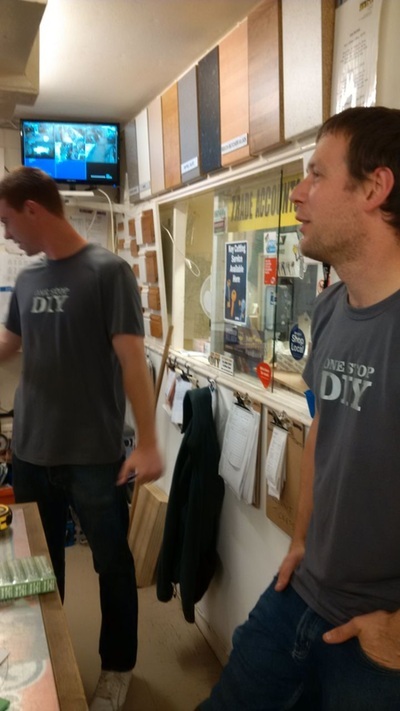 The guys at the Nottingham based store will be seen now as they run in and out of the timber yard fetching plywood orders for their customers! Got a similar requirement in mind? How to print white on black t shirt? 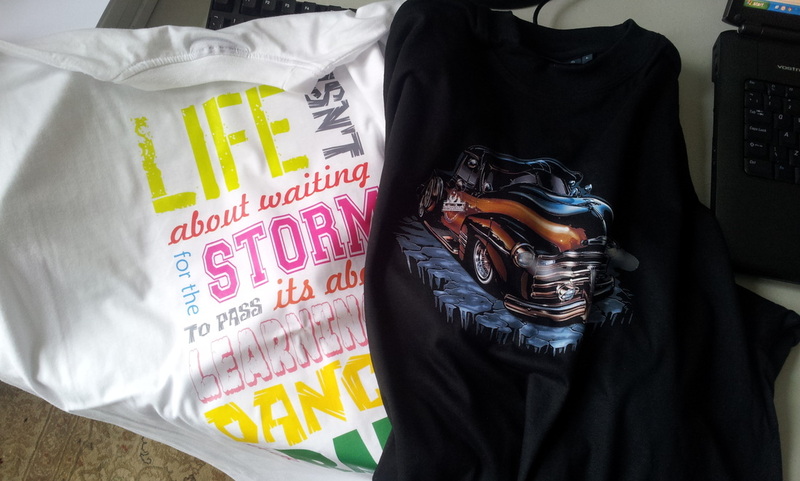 How to print white text and images containing white onto black or dark t-shirts and fabrics? Just ask us to do it! 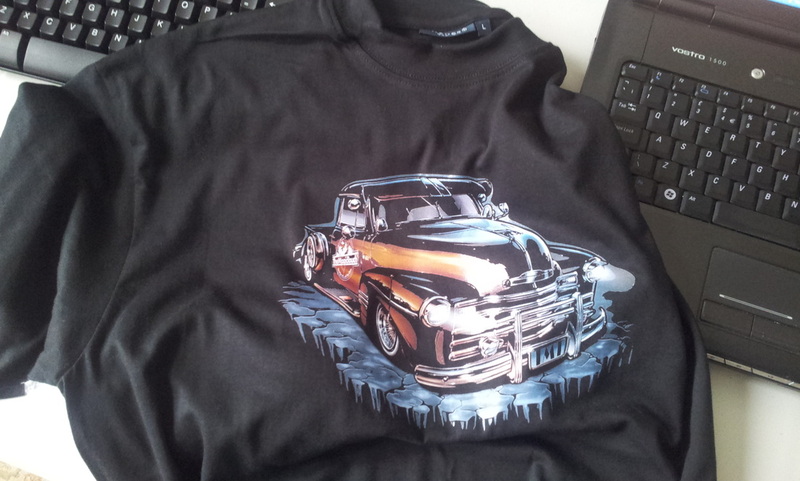 Ahead Solutions UK offer razor sharp laser printing; white print on black or dark t shirts. We have the latest laser garment printing technology allowing us to produce one off and small run t shirts with with white text and images containing white, so there is no minimum order! Why not give us a call or email us for a no obligation quote today? Ahead Solutions. The clue is in our name. We are excited and delighted to announce the arrival of the latest technology in digital white laser toner printing. Now we have the capability to print full colour including white onto almost any surface. 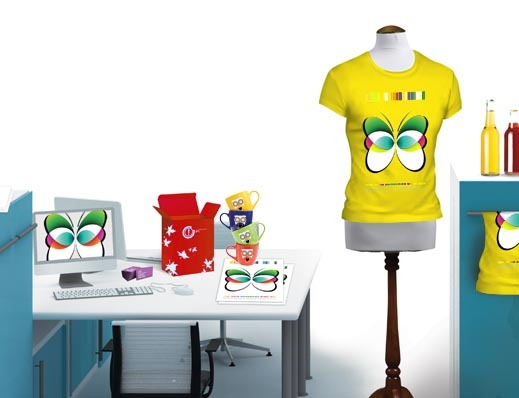 We are limited only by your and our imagination... from t-shirts to books, from boxes to bottles, cups mugs and more We can print your designs one offs and bulk quantity. Ahead Solutions... the secret is in our name. If you are looking for small quantities of reflective fabric then give us a call. Ahead Solutions is the UKs leading supplier of small quantity retro-reflective material for safety and fashion wear. We supply customers from the theatre and dance industries through to safety and fashion designers; take a look at our earlier blog posts and case studies for more information. 3M Scotchlite Reflective Material is still the leading product. 8910 is easy to sew or glue and even a small quantity is visible from up to 300m away.